The Brits have traditionally advocated the use of a clothes peg as a line marker. The cookie has a round shape, hence it cannot provide you with a tactile indication of which way you should travel along the line, in the event that you are diving in low / no visibility. Instead it is a non-direction marker used by a diver to mark a specific spot on a line in a cave. For instance a reference point or a junction. Alternatively each member of the team can thrown down a cookie on the line - this helps to identify who is still on the line if the team gets separated. Generally divers will add some kid of personal identification to their line arrows or cookies, such as their initials. 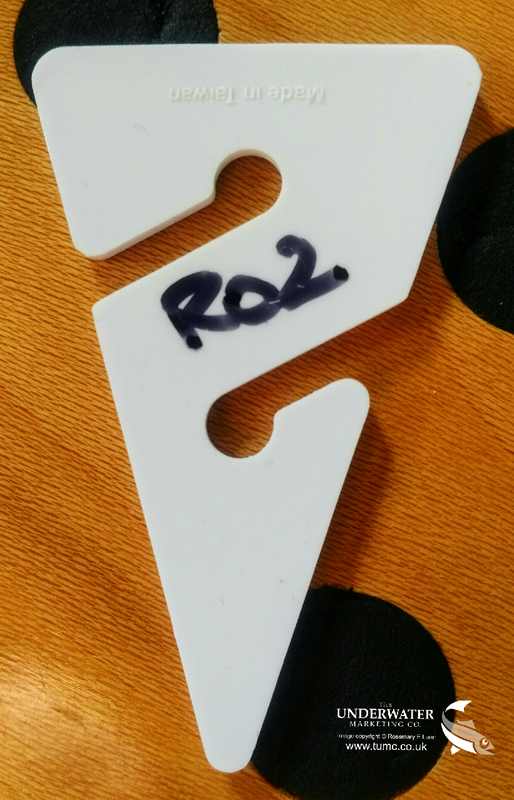 They may also add holes or notches to their markers so that they can be identified by feel in low / no visibility. Light Monkey is now manufacturing Delrin® cave cookies. This is a stronger, more durable material than plastic injection moulded plastic. Therefore the laser cut Light Monkey cookie should not bend or snap. 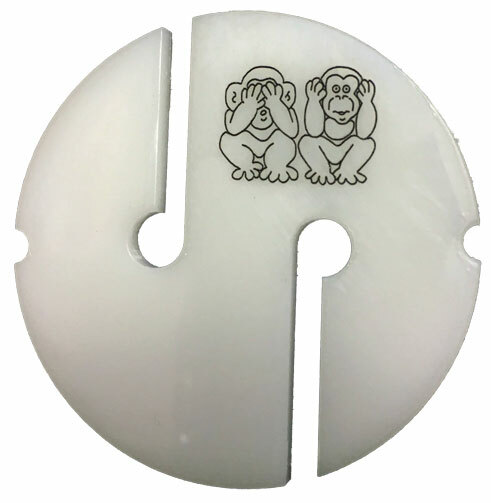 Light Monkey has also stated it is possible to get your cookies personally engraved, subject to a minimum purchase of 25 identification markers.